I was a bit hesitant about picking this up to read, but when I saw it on Amazon for under £3, I thought I'd give it a go. 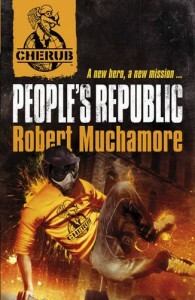 This book is potentially one of the best CHERUB books I've read. I found it agonisingly hard to put down. I love how it isn't a million miles away from James' CHERUB time, as Lauren is still mentioned in the book, as are the twins Connor and Callum, and Amy is largely involved in this book. Although I loved the James era of CHERUB I think it's nice to have new people come in and almost start again! A book I definitely recommend!